An average price for a slightly manky long pattern Strad is now $5M. Prices being asked for a Golden Period start around $10M, and some are being offered (but most likely won't sell) for $25M ... the Nachez for instance. I picked up some Nachez from Taco Bell earlier tonight. $2.79. 1) Separation in which dimensions ( as we read, sound is not one of them ) ? You told geographical location as one important. It can´t be the only one. 1) Why and on which way Stradivari or Guarneri-del-Gesú could become the reference makers - especially when we know, that still in the late 18th century Stainer was preferred by many great musicians ? you can't tell if it was made in Herzogenaurach, Jakarta, Hanoi, or Zamboanga. The same isn't true of a trachten dirndl, a shadow-puppet, an ao-dai, and a bolo. Have you ever been on Jeopardy? So now we have thousands of makers making Stradivarius models, and a handful making DG. Where are the Stainer-makers? The Hopfers and the Klotzes, or the Magginis for that matter? Through all these years, I have come to regard the history of violin making rather differently to all the hurray literature. It would seem to me, that the Italians/Cremonese had what almost amounted to almost a monopoly on really good violins before 1700. Then from about 1700, you get really good violins from everywhere (not America, of course). By the mid 18th C. the craft violin makers got gradually more and more undercut by cheaper mass violin making, until mid 19th. C. the violin producing industry finally killed off the craft of violin making terminally. I realise that what are basically self-taught amateur mid 19th.C. Italian Makers are extortionately expensive, and that this doesn’t have any basis in common sense. I presume it is because the masses don’t realise what I said above. Here are a few of the other ways in which a violin-maker might be "related to" Stradivari. And of course nothing has changed - Cremona is still seen as THE address for a contemporary violin-maker, and the town is stuffed to the gills with foreign makers wanting to haul themselves a rung up the Stradivari ladder. But if you want to command a serious premium, you need to be dealing in Stradivaris and to be in a position to have them on your bench to copy. Florian Leonhard and Christophe Landon are two contemporary makers who lay claim to this, probably there are others. Florian Leonhard and Christophe Landon are two contemporary makers who lay claim to this, probably there are others. I never had the impression ( with the only exeption of Vuillaume ) , that maker-dealers with great access to real Strads could take much advantage for their own making by intense contact with great instruments, resulting in a high appreciation for their new-made instruments by leading musicians or the markets. Are Leonhard or Landon appreciated as leading contemporary makers in our days ? I think, this second question is important, particularly in the question of dimensions : My idea is, that we should look for exactly these dimensions, which changed the predominant position of Stainer ( and maybe the total importance of german school, even in old-italian making ). The things, you just told ( connection to top- Cremonese) only was a later occured effect, AFTER the game of these special (and maybe new ) dimensions took place. 2) Why and on which way Stradivari or Guarneri-del-Gesú could become the reference makers - especially when we know, that still in the late 18th century Stainer was preferred by many great musicians ? Well, i know nothing .. but according to Pollens MOST Strads and DG's were regraduated (hollowed out) at the end of the 18th century, because "they were too thick in wood" (can you imagine?) This is seldom discussed here, but if it is true it could answer your question. According to Pollens Strads and DG's were "thinned to perfection", and may have co-created the sound quality we know today. The recurrence of the theme of "copying" makes it plain that we are dealing with a reverse-engineered re-creation rather than an unbroken transmission of expertise. 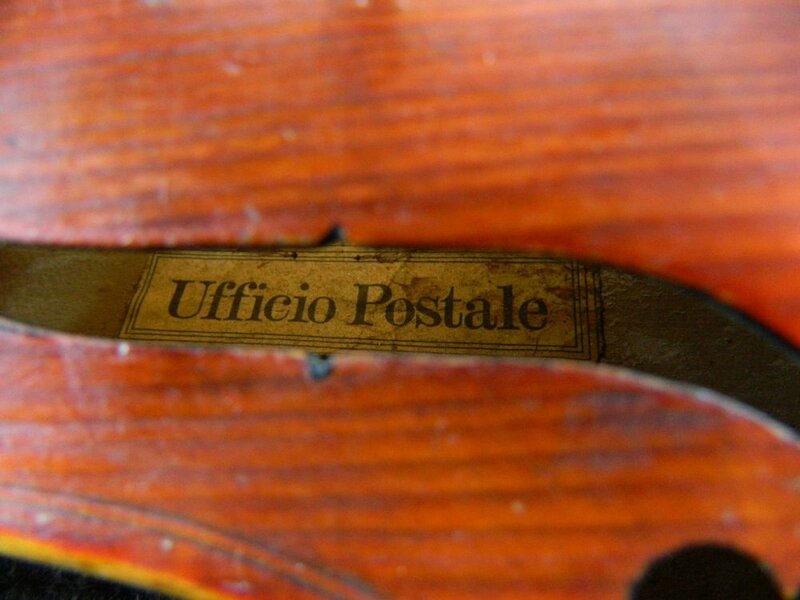 IMHO, to be uncritical of the persistence of comparatively elevated values of Italian fiddles into the post-"Stradiguarnerian" period, one must be utterly ignorant of the history (such as it is ) of modern Italian luthiery. BTW, isn't there a bloke named Hargrave rattling around somewhere in Germany who's rumored to have examined, copied, and written about a few Cremonese fiddles? You need to get out more ...! Last time I heard Landon was charging $75k for his violins and they were much in demand in professional circles. Gabor Drascóczy, who is the principal maker in Florian's workshop, recently won a double gold in the VSA competition - a Florian Leonhard violin is also around £70k and there's a big waiting list. Your analysis of how the Cremonese violin won out over the Stainer doesn't really correspond to mine. For me the development of the violin, like that of the grand piano, reflects the need for instruments that could be heard in ever-bigger halls, and which would serve a soloist playing in such spaces against ever-bigger orchestras. 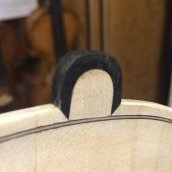 Whether rightly or wrongly (some Stainers project very well, some Strads don't), the general perception was that Cremonese violins had this quality where Stainers didn't. At the end of the 18th century or the beginning of the 19th, the Strad model took most violin-making capitals by storm - look at Geissenhof, Betts, Lupot etc. Everyone went mad for Strad around the same time, and this was well before Vuillaume. The OP question is, as usual, somehow unprecise. If someone would refer to makers before 1871, we would need a more clear definition what's meant with "Germans". Jacob Stainer is Tyrolean/Austrian, the Albani family South Tyrol, today Italy, not to mention Prague, Schönbach and a lot of more. Mittenwald is within the actual German borders, but is often regarded as the misleading "Tyrol", sometimes even makers from South German regions like Nürnberg (Frankonia), and the Allemannische Schule was in the (german) Black forest as well as in Switzerland. I wouldn't even know where to start when talking about who "kept up" or adding the value of a "German" against an "Italian" production. So this seems to be a rather modern deliberately constructed way to look at these things. 1. You should not believe all, you have heard. While I heard of the success of Drascoczy ( which only is a competition - result, not a market-success or performing-success - yes, I can´t exclude such in future ), I didn´t hear about such demands after Landon or Leonhard violins - and, sorry, I don´t believe that he succesfully can charge 75k, not even half of it - the same about Leonhard. I never have heard of an actual sale in this size and never would believe - not at all. May be, some of their clients buying a Strad, want to make them a little additional pleasure and buy a new Landon or Leonhard ( may be a copy of the just aquired Strad ) for any prices in a mix - calculation. 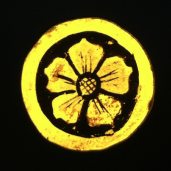 This i.m.o.doesn´t play any significant role in our question. While we have again and again single cases of any makers, where a soloist uses an instrument - the deciding question is, whether a maker can establish a consistant market - position and position in the performing areas of leading musicians. I have to repeat, that i.m.o. such leading makers normally are not these with best and consistant contact to great instruments - with only few exeptions. 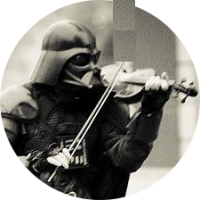 Let´s just have a look on Sacconi - violins - how much important ? One of the few exeptions within the last decades would be Roger Hargrave. On the other side one could tell hundreds of makers, working in major dealer-shops, who apparently could not transform their great access into the Strad-closeness, described by you. For me the development of the violin, like that of the grand piano, reflects the need for instruments that could be heard in ever-bigger halls, and which would serve a soloist playing in such spaces against ever-bigger orchestras. Whether rightly or wrongly (some Stainers project very well, some Strads don't), the general perception was that Cremonese violins had this quality where Stainers didn't. Oh, what a clumsiness - do I read right ? Sound was the reason ??? Oh, what a clamsiness - do I read right ? What is a "clamsiness" please? I don´t know, if I shall believe this story. 2) Eventually it was not a thing of "perfect thinning" but more a thing of higher reserves in the "too thick" old italian instruments - giving more potential of adaption at neck-resets and modern strings. Good question ! I also don´t know it. I meant "clumsiness", which surely also is not high-grade english in this context - sorry. -Itslian makers are the 'Cream of he crop' just in terms of supply and demand overall. Itsluan instruments are in high demand mostly in South East Asia but not at all in the US. However right now the highest paid makers are one American, one Germsn and one French-American and maybe a Swuss maker. Did I forget the Britush guy? Future will proove if they are better. Germans tend to 'engeneer' things. So rather than thinking of an individual piece of art they tried in the past to produce a product of good cost performsnce relation. Italian makers today still benefit from the 'Stradivari glory'. In the Indianapolis competition for the best maker of the 21st century the winners were a German and an Americsn maker. the work of a select few modern artists. Bespoke.... lol... back in the day we just said “custom” really though I get the point ...as in my first comment , “ virtually the same craftsmanship” And agree that today it is impossible to determine country of origin, however...most people buying track shoes though have no expectations of reselling them for as much or more than they bought them for. Violins are in fact items of culture and as such they are open to a wide array of bias and preconceived ideas, what works for one, could simply be a vso to another. As makers we are constantly on the lookout for the bigger picture, what do others think of our work? How does our work fit into the long established ideas of what a good violin is? If shadow puppets shared the same broad cultural impact as violins ...would we see the ones produced for hundreds of years in Indonesia as exactly equal in value to ones made in Wales for decades? I think not , or how about a kantana made in Canada? Sales ,and associate values are built on trust, and people love stories. The trust needn’t be justified , nor the story true, but that is how the culture works. I’ve,e never felt comfortable trying to tear down the competition, but rather highlight the qualities of my own works. While I heard of the success of Drascoczy ( which only is a competition - result, not a market-success or performing-success - yes, I can´t exclude such in future ), I didn´t hear about such demands after Landon or Leonhard violins - and, sorry, I don´t believe that he succesfully can charge 75k, not even half of it - the same about Leonhard. I never have heard of an actual sale in this size and never would believe - not at all. Scepticism born of ignorance isn't impressive.